Whether new to Kryptfolio, new to Ethereum, or new to crypto — here you are, wanting to make sure you know how to create and secure an Ethereum wallet. As you know, Kryptfolio is your monthly subscription service to the hottest ICO tokens. As a member, you have the option of having your monthly haul of tokens sent directly to your Ethereum wallet, or keeping them in the TokenClub Vault until you’re ready to withdraw them. We recommend having your tokens sent directly to your Ethereum wallet monthly if you are comfortable with your ability to create a wallet and keep your private key safe. This will provide you with a higher level of security as the tokens will be under your control. 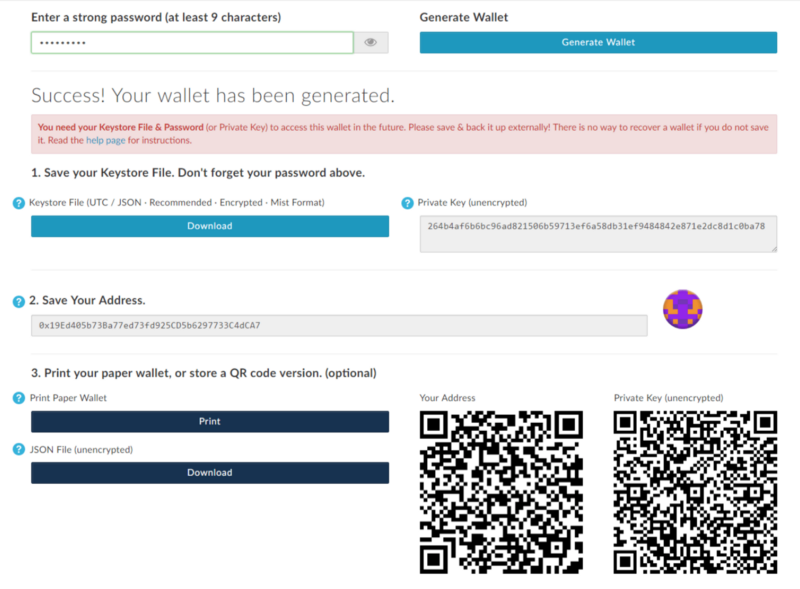 Free to use (donations accepted), open-source, client-side interface for generating Ethereum wallets & more. No ads, tracking, cookies, or selling of your personal data. 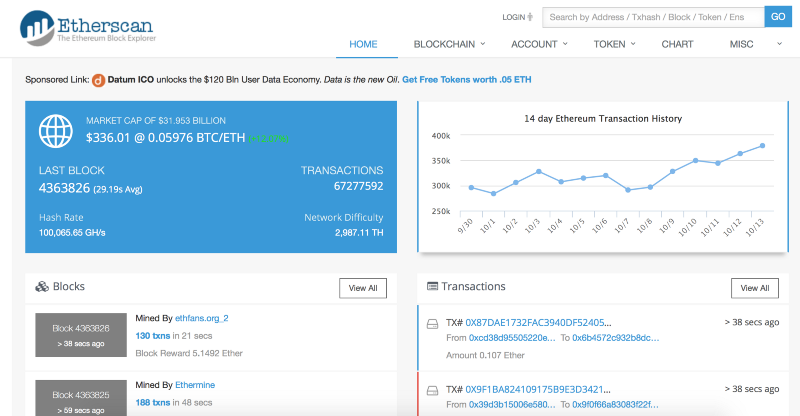 MyEtherWallet gives you the means to interact with the Ethereum blockchain easily & securely while retaining control of your own private key. 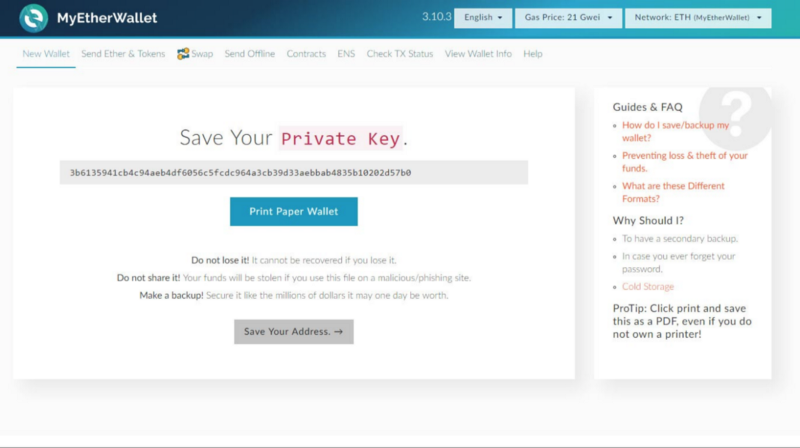 Double-check to ensure the website address listed is www.myetherwallet.com before unlocking your wallet.Be safe and secure. You will immediately be invited, on their main page, to enter a password in order to create a new wallet. This password needs to be easy for you to remember, but also strong. Write it down. If you lose your password, you will lose access to your funds and tokens. There is no password recovery option. This password is used to encrypt and protect the wallet you are about to create. The MEW site does not hold your keys for you. It cannot access accounts, recover keys, reset passwords, or reverse transactions. Protect your keys, as you are responsible for your own security. 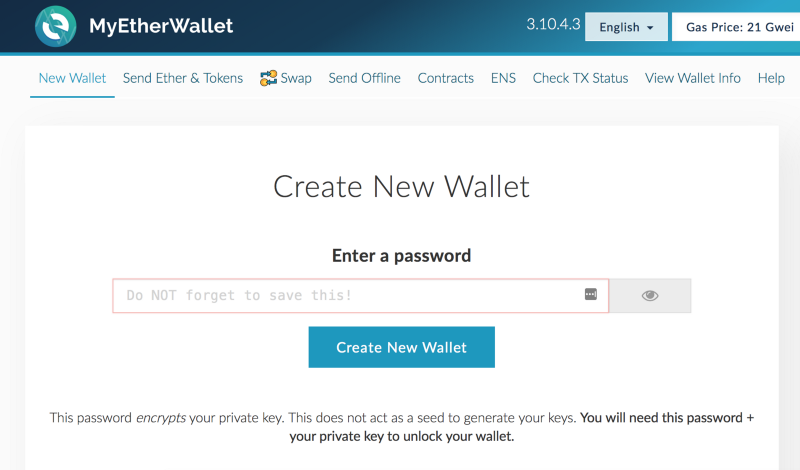 NEXT: With your fancy password memorized, click to “Create New Wallet”. At this point it is also recommended you create a paper file, and store it safely. You can print the code for safekeeping, and/or carefully handprint and store your private key. A good way to test your wallet, and your understanding of transferring funds/Ether, is to send a very small test amount to your wallet. 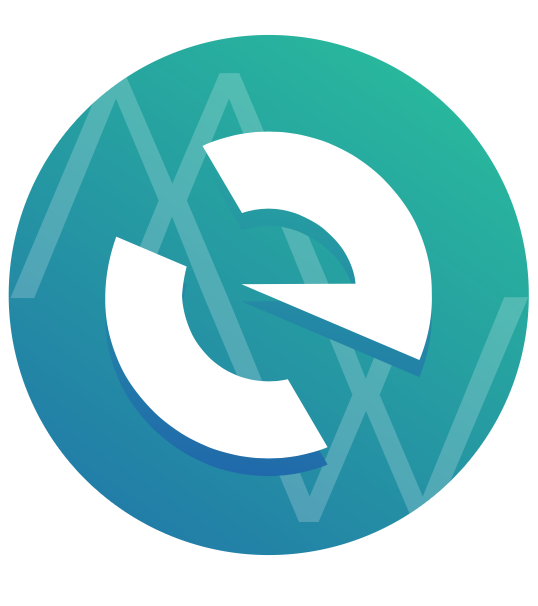 If you currently have Ethereum in an exchange or separate wallet, you can send from there to your new MyEtherWallet address and await confirmation.